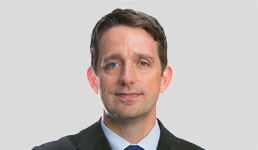 Paul Bouchey is Chief Investment Officer at Parametric and can be reached at pbouchey@paraport.com. The traditional investment management story has four key points: 1) I’m smart; 2) I’ve developed a mysterious black box that magically generates free money; 3) you should trust me because my historical performance has been good; and 4) my high fees mean my strategy is a quality one. Over the last ten years this approach has started to be disrupted by systematic strategies that are simple, low cost, and transparent. If the approach is easy to understand and fully disclosed, investors can be more informed and rely less on “trusting” their investment manager. Importantly, these systematic approaches are often lower turnover and lower fee. For taxable investors that also translates into a lower tax bill. Of the approximately 8,000 mutual funds and 11,000 hedge funds available in the marketplace, most are opaque and high fee — and don’t have the performance to justify their existence. Why have so many bad, expensive products survived and created such confusion among consumers? A lack of transparency. Sure, mutual funds disclose their holdings, but they usually don’t disclose their complete methodology. And because there’s a high level of uncertainty in returns, it is hard to measure whether a fund is good or bad, whether the manager is truly skilled or just lucky. The secrecy around methodology and the lack of good metrics means that storytelling wins the day. This doesn’t work in other industries. If I develop a smart phone that is slow and has fewer features than rivals, it won’t sell and will quickly get swept into the dustbin of product development history. However, a manager can launch a new mutual fund and if they are lucky enough to outperform the market over a three-year period, they can raise billions of dollars. Investors – and even professionals – sometimes forget the capital markets were not invented to provide them with returns. The markets were created to provide business and entrepreneurs with capital, while at the same time allowing them to offload the risk of the venture onto the backs of investors. This is a harsh environment with the investor bearing the risk, the transaction costs, and the tax bill. And maybe, just maybe, they get a positive return for their troubles. Consider an investment that earns 8% per annum. If the fee is 1% and the commissions and taxes are 2% per year, only 5% is left for the investor. Compounded over 40 years, $1 grows to over $7 at a 5% return, but grows to over $21 at an 8% return. In other words, over a long horizon only one-third of the potential wealth generated by the investment is retained by the investor. Investors need to focus more on surviving the game and less on trying to be the winner. Diversification is obviously important, but so is being low-cost and tax efficient. These basic principles are key to long-term success. Investors are starting to wake up to this fact and ask for better, much to the chagrin of investment managers telling the same old stories.